What do Print and Marketing Services mean to you? 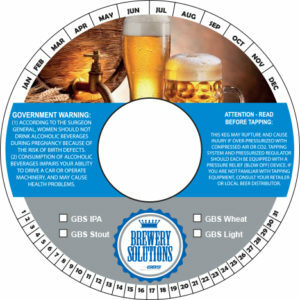 GBS has partnered with some of the most successful breweries in the country to help them present a consistent look and feel for all of their printed items. Our customized solutions encompass both promotional and printed products that present a consistent message, helping you strengthen and promote your brand in a cohesive way. Additionally, we ensure that each product we create is designed to meet the required government regulations. Click the keg collar to discover how one brewery in particular has partnered with GBS!